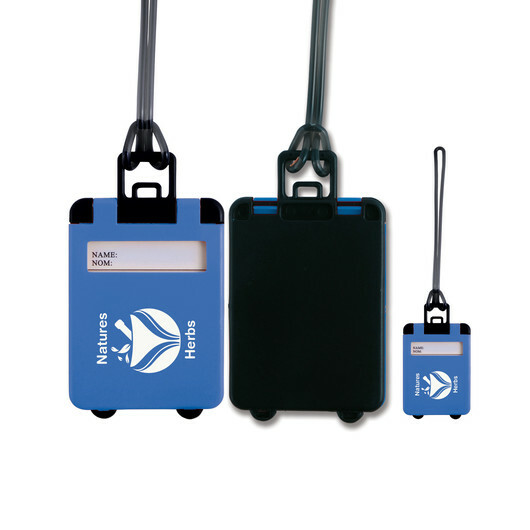 A suitcase shaped luggage tag with PVC loop strap. 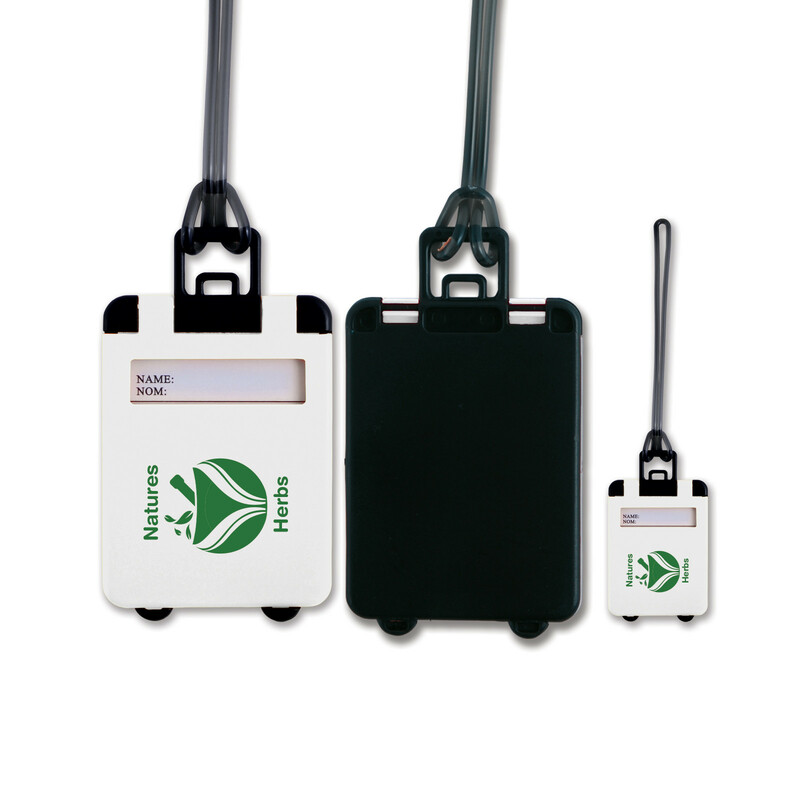 A great product for hotels, resorts, tourism/travel agencies as well as regular travellers. 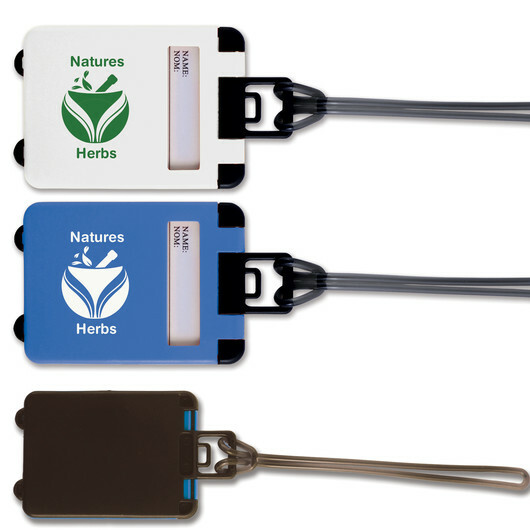 These luggage tags can be produced and delivered fast with your logo. They are in the shape of a suitcase and have a PVC spaghetti loop strap with a white hidden address panel. Available with either a white or blue front.